When delivered by their mothers, infants become children of the Earth; but every infant was a child of the sky before. Children of the Sky live in the clouds, amidst the sunbeams and the wind. At night, they sleep under the moon and the feeble light of the stars. 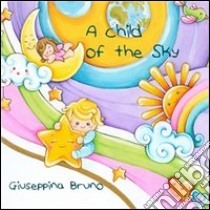 The story of a small child of Sky which will arrive on Earth.